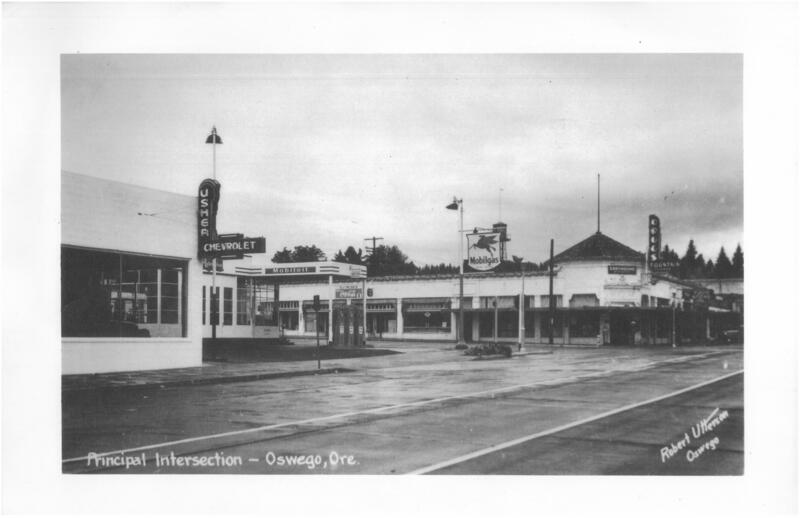 Description Copy of a photograph of the intersection of State Street and A Avenue. Signs along the street businesses read Usher Chevrolet, Mobiloil, Mobilgas, Coca-Cola, Greyhound, Drugs, Fountain, Food Store. Photo is stored in the oversize photos in the library's flat files.